People love movies. People love to travel around the world. I thought, why not combine the two? Today’s post takes you on a round-the-world trip to movie locations! Not unlike but way better than a regular RTW trip or a simple list of movie titles, this trip is specific to movies and uses their filming locations to expose the destinations on the route, get it? 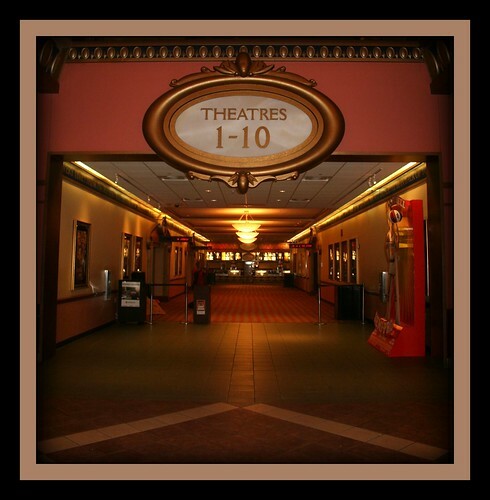 A successful film immerses you its location, moving you to find out more about it, and maybe even adding a city or two to your own personal bucket list. Our Around-the-World Journey in Movies starts and ends in the best city in the world: San Francisco (I’m partial) and moves around the globe in an easterly direction. The route is below, as seen in a screenshot of our Trip Planner application, with prices below showing approximately how much it would cost to see all the settings for these great movies. You can get a more accurate price just by submitting this trip. Click the image below to be taken to TripPlanner and book it! Or else tweak it to something that fits your personal tastes. Using TripPlanner and AirTreks, you’ll get a rather spectacular and obsession-affirming price range of USD $4998 to USD $6892 which includes taxes and a travel insurance package, depending on the season in which you travel. Let’s get started, let’s go travel around the world in movie locations! Bullitt – 1968 – Who thinks of San Francisco and doesn’t think of the hills? This movie starring Steve McQueen will change the way you look at the hills of SF forever. With one of the best car chases in cinematic history, this will surely get you out of your seat. 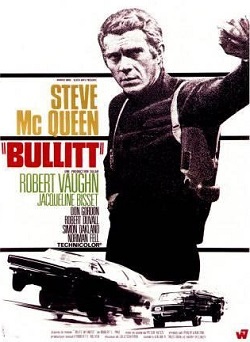 Bullitt was selected for preservation in the United States National Film Registry for being “culturally, historically, or aesthetically significant”. 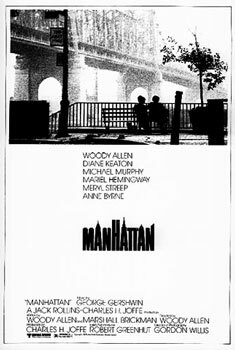 Mahattan – 1979 – Like most Woody Allen movies he showcases Manhattan as if it were his lover, using delicate hands. A great way to be introduced, or re-introduced, to the beauty and architecture of the Big Apple. An all around fantastic movie and his only feature to be filmed in glorious black and white. Blowup – 1966 – Nominated for two Oscars including best director, Blowup revolves around a fashion photographer’s involvement in a murder. Piccadilly Circus and the Yardbirds make appearances in the movie and it has a scene considered by Premiere Magazine to be “the sexiest cinematic moment in history”. So there’s that. 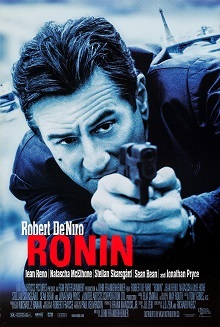 Ronin – 1998 – An epic heist movie directed by John Frankenheimer starring Robert De Niro and Jean Reno. Wonderful footage of Paris, Nice and (probably) the best foot chase scene you’ve ever seen set in the ancient Arles roman amphitheater. As far as I’m concerned De Niro’s last great movie. Casablanca – 1942 – Casablanca is being reintroduced as one of this year’s great travel destinations, and you really can’t (or shouldn’t) go there without actually seeing this classic movie first. Here’s lookin’ at you Bogart. Thanks for putting Morocco on the map. 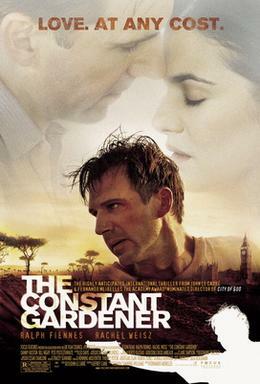 Constant Gardener – 2005 – A murder mystery (and then some) mostly shot on location in Kenya including the Kibera slum outside Nairobi. You may not see the slums upon a visit to Nairobi but it’s a good idea to understand the way many many Kenyans live. Filming in the slums affected the cast and crew so much they set up the Constant Gardener Trust to provide education opportunities for its residents. Tsotsi – 2005 – Not technically filmed in Jo’burg, but Soweto, South Africa’s notoriously crime-ridden township just outside the city. Successfully documents life in the township without excuses. Tsotsi (which means “thug” in township lingo) is the name of the main character, a troubled teenager who steals a car with a baby inside and ends up having to look after it. Won an Oscar for best foreign movie in 2006. 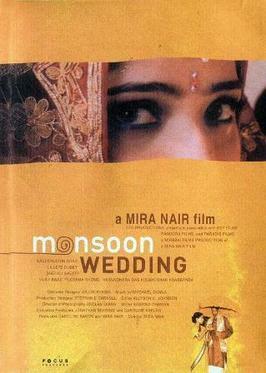 Monsoon Wedding – 2001 – This lovely film immediately shows off the chaos and color palate of Dehli, while documenting the ritual of a traditional Punjabi wedding. Won a BAFTA for best foreign language film. Very sweet, and a personal favorite. Bridge on the River Kwai – 1957 – It can be argued you shouldn’t see war movies set in countries where you’ll be traveling, but BOTRK is a perennial classic and gives reference to how much the country has changed in half a century. It’s fictional, but shows the costs of the construction of the Burma Railway. Plus it’s got Alec Guinness in one his finest roles. 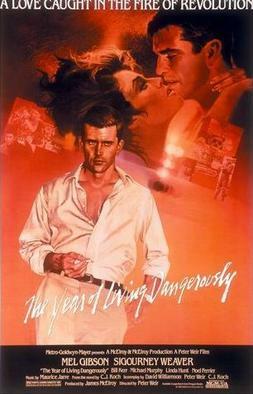 The Year of Living Dangerously – 1982. A Mel Gibson role before he went all bat-crazy. This incredible movie revolves around a love affair between two journalists in Jakarta covering the overthrow of then President Sukarno, a turbulent period in Indonesian history and great if for nothing else than to see Linda Hunt playing a young man. 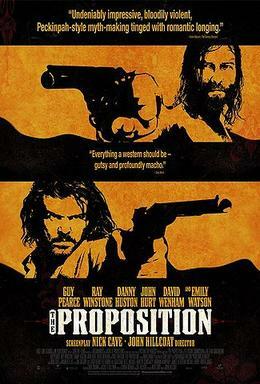 The Proposition – 2005 – Starring Guy Pierce in a fiercely engrossing story that showcases the beauty of the vast interior of Australia in the 1880s, which might as well be today as much as it’s changed. Fantastic soundtrack by Nick Cave! 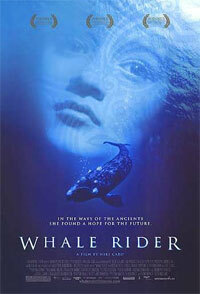 Whale Rider – 2002 – Shows the inner workings and traditions of the ancient Maori culture, for better and for worse. 12 year old Keisha Castle-Hughes was nominated for an Oscar for her performance, the youngest actress ever nominated. Finally Whangara gets some exposure! Mutiny on the Bounty – 1963 – Though riddled with inaccuracies from the book, it does a lot to showcase the beauty of French Polynesia, Tahiti and the sublime waters of the South Pacific. MOTB was nominated for 7 Oscars but winning none. There’s also a 1935 version starring Clark Gable. Have an Around the World in Movies suggestion? Or just your favorite movie set in an exotic location? Tell us in the comments below. In the meantime, enjoy your trip!